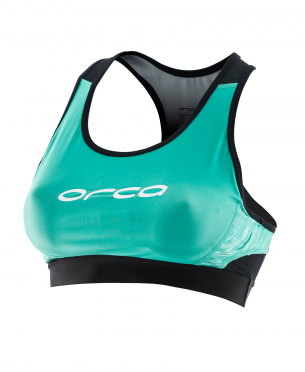 The Orca Core Support bra green/black women is a must-have item for your training sessions and races. The bra offers the support and reinforcement you need. Made with eco-friendly and durable materials. Maximum comfort and security, so you can just focus on giving your all. 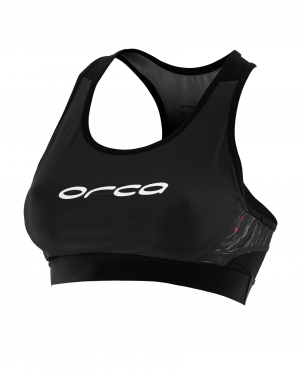 The Orca Core Support bra black women is a must-have item for your training sessions and races. The bra offers the support and reinforcement you need. Made with eco-friendly and durable materials. Maximum comfort and security, so you can just focus on giving your all. The champion of 2XU performance support bra solutions, this impressive Ultimate Endurance model features figure of eight support to manage movement in all directions, anti-bounce top panel for added security, slip-free straps for firm fit against the skin and seam-free inner cups to keep the wearer working out in comfort.